On Monday, September 16th all of us were again shocked as another act of evil was perpetrated at the Navy Yard in Washington. Another senseless act--another layer of hardness to many who have become desensitized to the evil around us. My heart goes out to the lives of the families who were affected by this senseless tragedy. Confusion, loneliness, heartaches that do not seem to ever go away, loss of companionship and oneness with a spouse, and even children crying themselves to sleep each night are just some of the by-products of evil. They are the unnecessary results of aimless living. Psychologists will give you a plethora of reasons why something can snap in the brain causing a person to go off into a delirium of evil rampage and many of those reasons are commendable. But if Jehovah is the Lord of the universe and the creator of all things, then surely we would expect that He has an answer as well. And if we take the time to look we will not be left wanting; He calls it Sin. But don't run off just yet, I would like to give a simple explanation to a complex issue. If we have a Creator then logic would tell us that the created would never be able to have the ability to overrule His hand no matter how hard they may try. In other words, that Creator would be omnipotent over all He created. It is this logic that induces the question, "Why does God not stop evil things from occurring?" 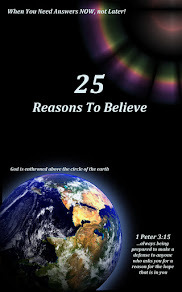 According to the Bible God sent life into motion during His six days of Creation. On the 6th day He created man (male and female) in His own image and in Gen. 1:28-31 the Bible tells us He blessed them and told them to be fruitful and multiply and fill the earth. So we see in this passage that God's original intent was for us to multiply and take advantage of all the goodness that the earth would willingly yield forth for the diffusion of humanity; things conducive for human growth, harmony, and prosperity. That was God's amazing intent! Honestly it was an awesome path He set our first parents, Adam and Eve, out on. This Cherub, that was once anointed by God, turned against Him and thrashed about as if he could overrule the Creator. The Bible says he fell from heaven the moment rebellion was found in him, Ezekiel 28:15. After this,we find him on earth taking the form of a serpent in the Garden where he approaches Eve, Adam's wife, and causes her to doubt God and God's word. So acting in rebellion she partakes of that which would destroy both her, Adam, and all humanity that would follow. God, in His amazing grace, had set before them a pure path--a path of hope, refreshment, peace, and harmony; but soon, the fruit she partook of in her disobedience to God's authority would tell a different story. As we shall see, it was the doorway to another path, a path laced with evil. 1. Anything which impairs the happiness of a being or deprives a being of any good; anything which causes suffering of any kind to sentient beings; injury; mischief; harm;—opposed to good. 2. Moral badness, or the deviation of a moral being from the principles of virtue imposed by conscience, or by the will of the Supreme Being, or by the principles of a lawful human authority; disposition to do wrong; moral offense; wickedness; depravity. --Webster's 1913 Unabridged English Dictionary. As you can see in its noun form, evil is acting in opposition to that which brings peace; instead it brings harm. Satan's intention's were vengeful. He had lost his perfect place in heaven and now he would come down to mankind and thrust his hatred of God onto them. The first step was a simple rebellion against Him. But with every action there is a reaction. When Adam and Eve realized they sinned they went and hid from God. This eye-opening revelation of what rebellion was, how it felt, and the reactions it caused did not go unnoticed by God. Because they had chosen a different path to walk on, so-to-speak, a different earth in which to live, He revealed what the path they had chosen would yield, via the curse. Thorns and thistles would accentuate its walkways and no longer would it yield an abundance in obedience to God's command; now it would take hard work to survive. At the root of all the evil we see in the world is rebellion. Rebellion against our fellow man. Rebellion against authorities. Rebellion against those who have raised us and nourished us, sending us to school to be prepared for the world. And rebellion against God. In the beginning the path God chose for mankind was awesome. It was a utopia of harmony and oneness with a holy God and with all around us. Even the animals were vegetarian and there was no death. So the question is still begging, why did Aaron Alexis enter the Washington Navy Yard and kill 12 human beings...? Something was corrupted in his character. Something led him to believe that his desire for gratifying his internal and twisted pleasures, James 4:1, was of greater value than the life of others. In his sickness he bit into the forbidden fruit of of evil he perpetrated and immediately, things went awry. Soon, in what many are calling a suicide mission, he was shot dead. Sin kills. And so here we are, a few days and many tears later, wondering if mankind will ever learn. 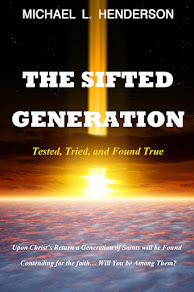 The lie Satan perpetrated in Eden is still being lived out today. God's other path would have seen a perfect earth in which no sin would be found. By our own free will we would live and serve both God and each other. But the human heart is too corrupt to be perfect like God. And so we live with it's evil. Who will deliver us? And what of that other path? The original one; does it still exist? The answers are found in the Scripture. Hover your mouse over the following verses, Romans 7:24-25 and Isaiah 65:24-25. The doorway to the original path is not through forbidden fruit of a rebellious life, but through the Cross of the Lord Jesus Christ. Jesus said, "I am the way, the truth, and the life. No one comes to the Father except through me," John 14:6. 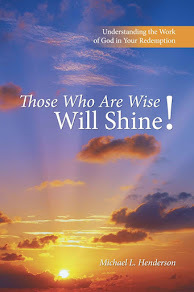 ** Those Who Are Wise Will Shine is available in stores and online at such places as, Lifeway, Westbow Press, Google books, Barnes and Noble, Amazon, Books-A-Million, and so many others.